I have a privacy hedge at the back of my Ottawa home. The hedge is about 40 feet wide and is about 12-14 feet high. It backs up against and along an identical hedge owned by my neighbour. It is about 30 years old. It has not been very lush or full some for the last dozen years. This year I have noticed that some of the cedars trees have become dry and brittle like kindling and have lost all greenery. The trees seem to have rotted at the bottom. Yesterday I removed the dead trees and branches – see the attached photos. I was going to spread compost at the base as I see roots being exposed and I suspect there has been soil erosion. I was going to cover the fresh compost with mulch. I was also going to replant new cedar trees where dead ones were removed. Is this the correct remedy or should I do something else to save the hedge and help it flourish. Thanks for contacting the Toronto Master Gardeners. Sounds like you are off to a good start with rejuvenating your cedar hedge. We responded to a very similar question from another gardener back in June so I will direct you to that response on our web site. In particular, our response describes some of the considerations when planting new cedars to replace those that have died. Here’s the link to that post. Regular pruning of cedar hedges encourages new growth. If you are not already doing so, a regular trim will help to revitalize your hedge and maintain it going forward. While this pruning can be done at any time of the year, opinion varies as to the optimal time. Mark Cullen favours pruning cedar hedges in September. 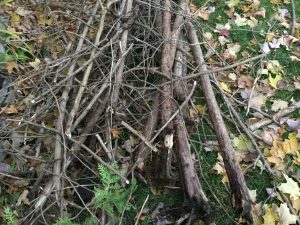 Here’s a link to one of his blog posts which discusses pruning and other general care practices for cedar hedges.